The death of Lee Kuan Yew on March 23 is a reminder of the intriguing parallels between North Korea and Singapore and the importance of context in deciphering events. Parallels involve dissimilarities as well as similarities and for states to be comparable requires that both are of roughly the same order of magnitude and probability so that the pairing of the two provides insight. There must be enough common ground for differences to be meaningful. 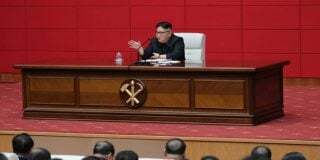 There would be little point in comparing either North Korea or Singapore with Brazil, or Pakistan, or the United States, or the Vatican – the differences are too overwhelming. But North Korea and Singapore do fit together quite well. The starting point is the role of the two families – the Kims in Korea and the Lees in Singapore. Both countries are essentially one-party states with, so far, an inherited leadership. Kim Jong Un is where he is today because he is the son – though significantly not the eldest son, of Kim Jong Il. And Kim Jong Il was the son of Kim Il Sung. In Singapore, the leader – here the Prime Minister rather than the President – Lee Hsien Loong is the (eldest) son of Lee Kuan Yew. In both countries power does not reside with the nominal head of state. Family dynasties are by no means uncommon. They flourish in monarchies, by definition, and many corporations (though professional managers tend to take over in time) and in many republics – India, Pakistan, Sri Lanka, Bangladesh, South Korea and the United States, to name a few. 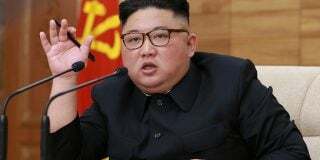 The mode of succession may vary and certainly in North Korea it has been much more overt than in Singapore. Lee Hsien Loong did not take over immediately on the retirement of his father; there was a caretaker government under Goh Chok Tong. Lee Kuan Yew sat “behind the screen” in the Chinese tradition as senior minister and then minister mentor, and Lee Hsien Long sat in the wings, quickly rising through the ranks to become the youngest Brigadier General in Singapore’s history. He had a very appropriate education – Cambridge, Harvard and the United States Army Command and General Staff College. The large role of the military is one of many things North Korea and Singapore have in common, although North Korea has more reason for this than Singapore – it is faced by the overwhelming might of the United States, and even South Korea is much more powerful – according to some reports, having a military budget 34 times than of the North. Singapore, on the other hand, greatly outspends its neighbours Malaysia (2 to 1) and Indonesia (1.4 to 1). Singapore might be an alien non-Malay island (72 percent Chinese, 13 percent Malay, and 9 percent Indian) in a Malay sea but it is not really threatened. Neither Malaysia nor Indonesia (which have their own historic disputes) would tolerate Singapore falling into the hands of the other. 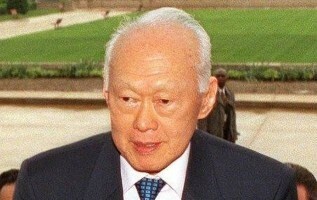 Moreover, Lee Yuan Yew and his team were very politically adroit to blend in; apart from bringing the Malay elite into government there is the widespread use of Malay words (Istana for the Presidential Palace, Majulah Singapura for the national anthem), symbols as exemplified by the national flag with its prominent Islamic crescent moon, and even the uniforms of Singapore Airlines female cabin crew. Singapore’s emphasis on the military, and its compulsory two-year military service for males, is due not so much to any military threat but the desire to instil discipline, obedience to authority and a sense of national identity (that this runs counter to the avowed national aim of promoting creativity and innovation is a dilemma that many countries, not least the two Koreas, face). National identity, with all it entails, is perhaps the key point of comparison between North Korea and Singapore. This brings in the question of personal agency (the role of the individual) and contextual, extraneous forces. 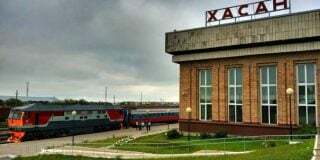 Obituaries, by their nature, tend to focus on the role of the individual concerned, and the prevailing discursive device in Western narratives about international affairs is to personalise countries under attack – hence Kim Jong Un’s Korea, Putin’s Russia, Assad’s Syria – hence obscuring the fact that what is happening is essentially a dispute between states and their interests. It is necessary not to overinflate the role of individuals but to give due weight to context. And the foundation of context is location. The Republic of Singapore is certainly ex-colonial, but the place has not been a backwater since 1819. Lee’s achievement was to forge a nation after the departure of the colonial power out of disparate immigrant groups but what he did was essentially a continuation, and development, of a process established by the British. And Stamford Raffles had not conjured Singapore out of thin air; faced with the need for a port linking Britain’s possessions in India and China, and a base to keep an eye on the Dutch in the East Indies (modern Indonesia) he realized the potential of this island on the Strait of Malacca. Location was the key to Singapore’s creation and growth and remains so today. The importance of the waterway stretches back into history and today 94,000 ships pass through it per year, carrying a quarter of the world’s traded goods. Lee Kuan Yew undoubtedly did much to develop modern Singapore and he could have made a mess of things; a comparison with that other major port of the British Empire “East of Suez,” Aden, might be illuminating. But he might also be seen as a skilful actor reading, and transforming, a script written by location and history. The script handed to the Kim family was very different. Korea had its own long history, and a deep cultural tradition, irrespective of external forces. It had been greatly impacted by them – Chinese culture, Japanese colonialism, American intervention – but was identifiably Korean. Whereas post-colonial Singapore had little choice but to continue on the path established for it, for Korea in 1945 the situation was very different; it could return to the past. Whether as a unified peninsula, or even just the northern part, the re-creation of an independent, self-reliant economy freed of the constraints of Japanese colonialism was a natural choice. This was, for instance, the path that post-colonial India set out on as did post-1949 China. Or indeed the newly independent United States of America in 1776. But again Singapore and Korea were dealt different cards by the contesting forces of the American Century. Singapore benefited greatly from America’s wars in Asia, especially that in Vietnam, whereas the Korean Peninsula, especially the north, was devastated by the Korean War (though Park Chung-hee did make hay out of sending troops to the Vietnam one). Singapore was nurtured by the burgeoning growth in international trade post-Bretton Woods, and whilst South Korea benefited from the international system, combining self-reliance and export-led growth under Park Chung-hee, North Koreas was largely excluded. Singapore became a key node of the international economy, sustained by external forces but scarcely threatened by them, while the Korean Peninsula remained essentially a battleground, mainly for America’s containment of China. Both the Kims and the Lees come out of the Confucian tradition, and this gives some explanation for their similarities, as does the task of forging new nations out of what they inherited from the past. However what stands out are the many differences, of which the most prominent is that the Kims are demonized while Lee Kuan Yew has generally been eulogized, with reservations in some quarters. Is the issue really just authoritarianism or perhaps something to do with independence? Ben Judah, in describing “the Curse of Lee Kuan Yew” castigates Lee most of all for having inspired the current bête noire of American foreign policy, Vladimir Putin. Examining context throws light on the complexity of events and illuminates both why people do things, and how those actions are portrayed. Subscribe to read the remaining 1531 words of this article.